Alternative student loans provide supplemental funding to cover unmet need for college attendance. It can be used for any expenses related to your education, including books, tuition, transportation, and room and board. You are generally approved for a student loan based on your credit score and the score of your cosigner. You should only consider student loans after all federal student loans, grants, and scholarships have been exhausted. You will need a satisfactory credit rating to be eligible for alternative student loans. If you do not have a satisfactory credit rating, you will need someone to cosign on your loan. If you make your payments religiously, you might have the option of releasing this cosigner from the loan. You might also need a verifiable employment history, as well as a verifiable residence history in order to qualify. The terms for alternative student loan vary from lender to lender. Generally, there are no principal or interest payments until six months after graduation. Rates on alternative student loans generally vary as Index rate varies, and there might be a margin added or subtracted from this rate, depending on the lender and your credit rating. It is recommended that you have someone co-sign on your loan. This will allow you to have a lower rater, and improve your chances or approval. You might have a number of repayment options available on your alternative student loans. You might choose a full deferral. In this case no principal or interest payment will be due while enrolled in school. Payment of principal or interest generally begins a number of months after graduation, or if no longer enrolled at least half time. Interest usually continues to accrue while the loan continues to not be paid back, and is capitalized, or added to the loan balance, and the time of repayment. Alternatively. you can choose interest only repayment. With this program, if you are still enrolled in school, you only pay accrued interest. Repayment of the principal would begin after graduation. Otherwise, you can choose immediate repayment. Here, you start repaying principal and interest a number of days after the disbursal of the loan. If you repay your debt while you are still in school, it would help you to keep your overall debt low. It can also help you build a good credit rating. Usually checks are not sent to you, but directly to the school. 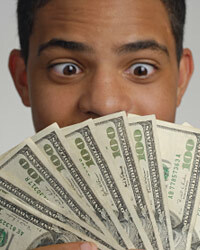 If you are not sure what you can use the loan money for, you should check with your schools financial aid department. You usually have to enrolled at least part time to continue to receive aid. Alternative student loans often offer no loan application fees, a quick pre-approval process, quick receipt of checks and no prepayment penalties. You might be able to deduct some amount of your loan in taxes. Contact a tax advisor to fully understand your benefits. Commercial vs Residential Loan Terms ComparedList of Important Real Estate TermsUnderstanding Student Loan Cancellation ProgramsWhat is Alternative Minimum Tax (AMT)?